The group called Mujeres Unidas (women united) was formed in Ciudad del Este. This group is striving so that each one of its members can better their living conditions. They are part of the eradication of poverty program, which allows them to better understand each other’s’ living situations and make an effort to improve. Zonia is a member of this group. She is a hairdresser and has a modest salon where she looks after her customers, who are always loyal to her business. Zonia is determined, shows sacrifice and enthusiasm and sets an example for her peers. Despite everything that she has had to go through she always has a smile on her face. Zonia is requesting this loan so that she can invest it in supplies for her salon such as lotions, hair dye, shampoo, rinses and other products that she always uses to provide her customers with a good service. She is grateful for this opportunity as it will help her a lot. 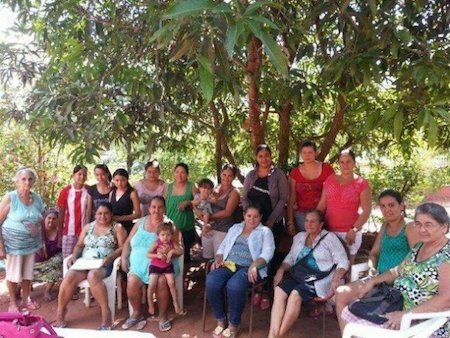 Congratulations to The Mujeres Unidas Group in Paraguay..!